RR Donnelley Walkins in Chennai 2nd, 3rd July 2014 – Research Jobs For Freshers. RR Donnelley Walkin for Research Analyst Openings For B.com/bba/m.com Freshers. Interested and eligible candidates can directly attend the walkin interview at the below mentioned location. Provide high quality, real-time research assistance to bankers / consultants in support of client projects. Provide support to Investment Banks, Consulting firms and other financial institutions in data research functions. Perform high quality research including but not limited to the online retrieval of financial information, company fundamentals, and market data as well as performing basic research functions using secondary databases, outside sources and academics. Attend client calls and interact with clients frequently. Carry out quality checks and ensure quality of team. 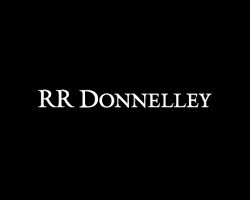 RR Donnelley is a 145 year old, $11.5 billion Fortune 500 company, and a global provider of integrated communications including premedia, printing, logistics and business process outsourcing services. The Global Outsourcing (GO) division is among the world”s leading professional service providers of integrated onsite-offshore services in finance, publishing, manufacturing, transportation, telecommunications, healthcare, advertising, and investment banking to Fortune 500 companies and professional services firms in the United States and Europe. Our operations are spread across India, Philippines and Sri Lanka, with sales and delivery offices in the United States and United Kingdom.